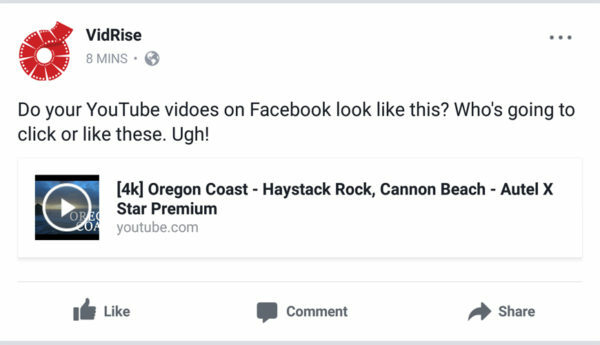 VidRise is a Free tool and one of the easiest YouTube link generator for Facebook. Convert a YouTube URL into a large thumbnail link that you can share for a BIG, BEAUTIFUL, and ENGAGING social media post that will get the attention it deserves. VidRise One of the fastest new YouTube Marketing Tools that’s sweeping YouTubers by storm. This FREE tool not only gives you bigger and better thumbnails on Facebook, it also helps create engagement. When you share YouTube videos on Facebook with large thumbnail, it increases the chance for your post to stand out and get more attention, resulting to more views. 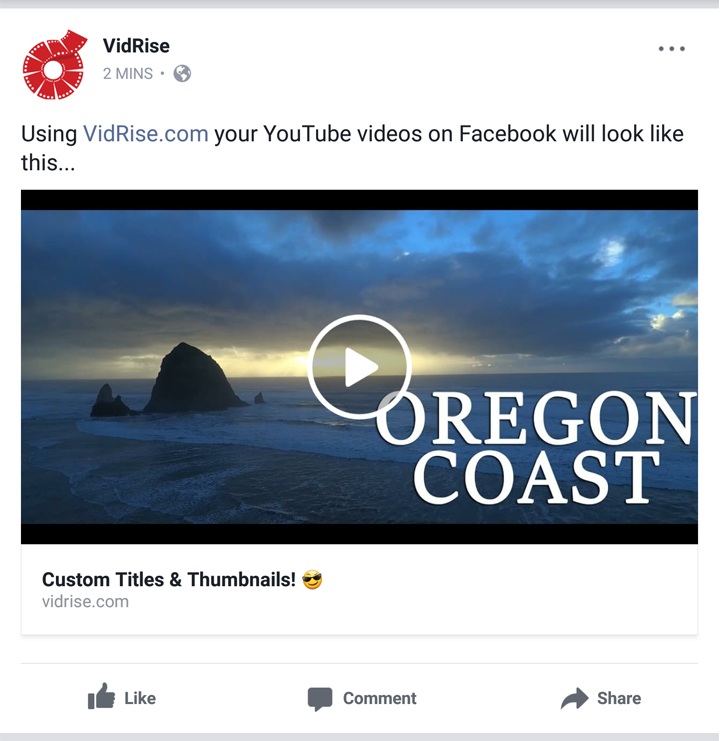 VidRise is the easiest YouTube link generator for Facebook that let’s you create a larger YouTube thumbnail to use in your posts! Get more views from your social media videos that will stand out.